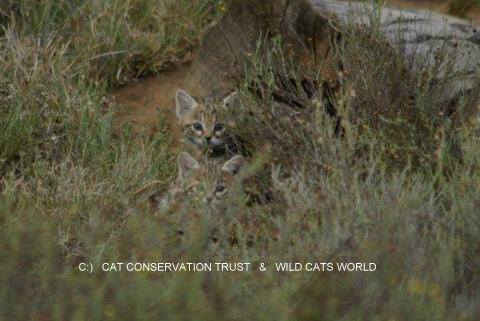 The good times have arrived as more sightings are possible now of our black-footed cat female DIVA and her three cute kittens. Here’s already one picture; two of the curious kittens. More will follow later in a special photo album. 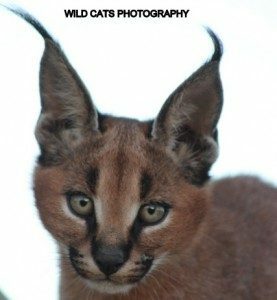 Of course you can already see more on the WCW Facebook page where we give daily up-dates about all our projects and ambassador cats. Thank god all is still going well with the three kittens and also with mom DIVA (and dad BLACKY). 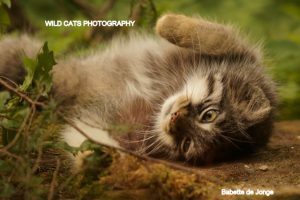 The kittens are 6 weeks old. Of course still exciting times as with BFC anything can happen, but so far they doing so well and Diva is such a wonderful and protective mom. Three kittens in a first litter is not bad at all!! !